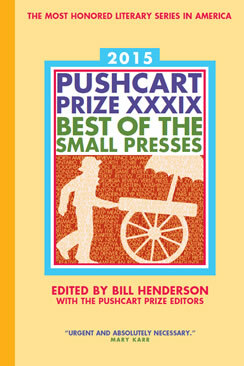 For the past several years I have done a ranking of literary magazines (in Fiction, Creative Nonfiction, and Poetry) based on the numbers of Pushcart Prizes and Special Mentions received over a ten year period. This year will be no different. I am expecting to receive my copy of this year’s volume in about a week and will do my best to do the new rankings as quickly as possible, probably a genre per day for three days. So, please be patient! the 2015 rankings are on their way! Thank you so much for compiling the rankings. I’ve been lucky enough to be published a few times within the last year and have a few more pieces forthcoming, and your list was such a great tool for me. Not only for informing my decisions about where and in what order to submit, but also as a way to discover new up-and-coming journals. Your rankings are a real service to the literary community. Hats off to you. I haven’t seen these rankings you’ve done before but I’m looking forward to seeing the new list. Also, it’s a good reminder for me to toddle out and pick up the new Pushcart 2015. Also, congrats on the release of Everywhere Stories from Press 53! Although mine (Red Tide) didn’t make it into the compendium, you were very kind to me in your comments about the story.